Round is cool. That’s just a fact — wheels, money, Oreos… they’re all brilliant. 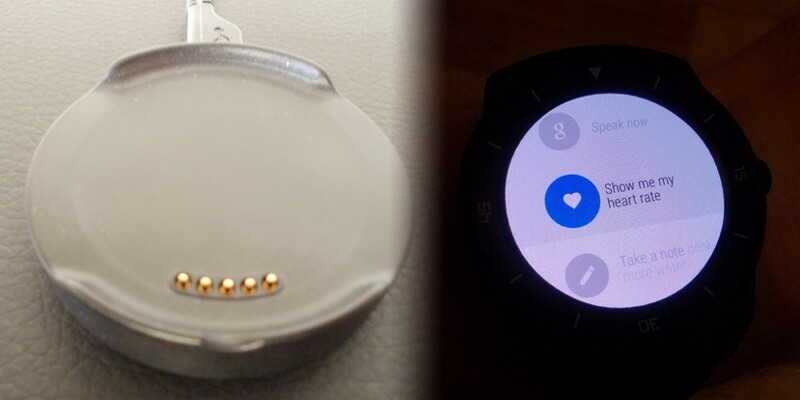 We’ve only seen two attempts at round Android Wear watches, and just one if you count the flat tyre of the Moto 360. Why there isn’t more, only manufacturers know. Most have adopted the safe haven of a square. So here we are, left with the LG G Watch R.
You can stop thinking that this is a round version of the original LG G watch right now. Thats a very wrong assumption to make, as much like the Sony Smartwatch 3 I tested last week, it has received spec bumps and improvements in all the areas that you need. The G Watch R (GWR) is competing with the specs of the Sony watch, in what many consider hardware version 2 on Android Wear. Unlike the original G Watch, design has been very much on the minds of LG when working on the GWR. Instead of the plain Nexus like design, we get something that looks a top of the range sports watch, all be it a sports watch from the 1990’s, and those design cues are straight from G shock. Its almost annoying that the numbered dial around the outside doesn’t turn, so I can relive some youthful games of marking how much oxygen I had left. This does mean that, along with the Moto 360, it can actually be mistaken for a normal watch — something distinctly lacking from LG’s first model. Being more at home with a suit in the office with the Moto 360, than out running with the Sony Smartwatch 3. The large bezel around the outside replaces the flat tyre look of the Motor 60, its actually a full circle! This does add a little bulk, and slightly inhibits you a bit when swiping cards away. Being a large margin above the 1.3-inch P-OLED display, the design makes the usual palm over the device a little more difficult. The display is noticeably smaller than the Sony Smartwatch 4, maintaining 320x320 dimensions, but colours are much more vibrant. Coming with a leather strap its hard to know where LG want to sit the styling of the watch. You would expect a watch taking all its design cues from sports watches to come with a high grade rubber strap like most of the competition. 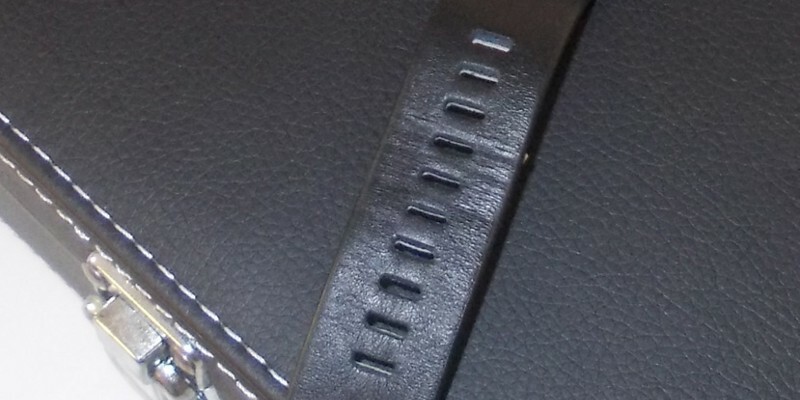 However the bundled leather strap is a confusing mix of sports and fashion, and with the leather wearing within a few days around the fastening and strap end its clearly not high grade leather. That’s not all bad news as this leather wearing in does mean that after a few days use the strap is amazingly comfortable. Luckily the watch uses a standard 22mm watch strap so changing them for something new is easy. The only question that should be asked though is why should you have to? With the low grade leather its hard to see how they can justify the £220 price tag, given the Moto 360 come in at £199. It will be a tough choice to justify the extra outlay when comparing them side by side. Given the choice on paper, many will chose the Moto 360. During use, the battery life increase on the GWR alone is worth a little extra outlay. The 410 mah battery consistently gets me through 2 days with moderate use — even the odd day of heavy use still saw me through to the next morning. Battery life on Android wear is a tough choice, the battery life needs to last through a tough day of heavy use, but does it really need to last more than that? We are a long way off anything last as long as the pebble, but I am fast coming to the conclusion that if the battery lasts more than a day, then it needs to last two — otherwise manufactures are just adding weight to spec sheets, for no real reason to the end user. There are certain products that just don’t have that special something, and that last little bit is missing from the G Watch. It doesnt feel like a step forward, despite the improved display and battery, it just feels like a round version on the first generation hardware — all be it with much better looks and a much better battery. The battery charger, although easy to use, is a proprietary piece of hardware I have to worry about. So anytime I spend traveling I have to make sure I know where this small bit of plastic is. Though I am sure this won’t suffer the same fate as my Gear Live charger, more manufacturers need to offer at least a back up of the basic micro USB connection. It does however feature a heart-rate sensor, that seems to be much more accurate than others on the market. Unlike the Gear Live I can use it after a run and whilst damp. Despite the graphing ability in Google Fit, we are still lacking the ability to record it at intervals through out the day. The lack of an ambient light sensor was also a big draw back after using the SW3 and Moto 360 as it means the screen is either on or off, which is constantly annoying. Luckily the 5.0 update to Android Wear has fixed this little issue (but more about that another time). The recent update however, has yet to fix all the small announces with the screen. When the screen dims after covering of after a period of inactivity, the screen fades all the way to black, only to brighten back up to the dim screen. If the screen then turns on the face will jump slightly, very noticeable due to the high contrast colour on the screen. Again a small annoyance, but ruining the experience of the most expensive Android watch on the market ever so slightly. If styling is the most important factor to you and you want a full circle Android Wear smartwatch, there is only one watch to choose from. For a good looking Android Wear watch without the battery anxiety of the Moto 360, choose the G Watch R. But for all the round ability on the G Watch R, it falls short of living up to Android Wear hardware v2. Given the expensive outlay be sure the styling is for you, as it will soon be outdated with new hardware incoming.